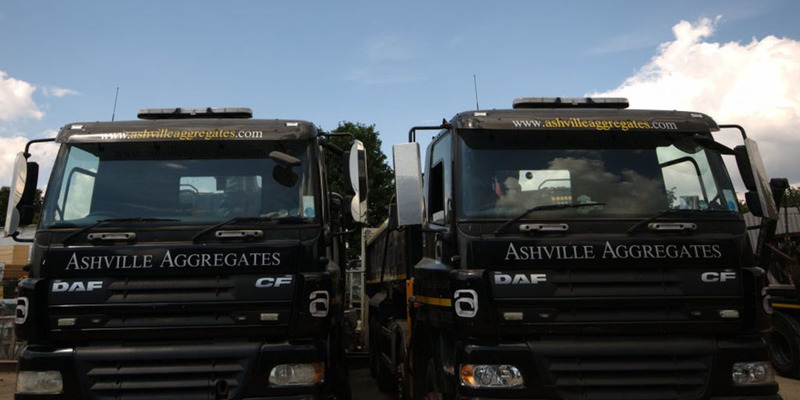 Ashville Aggregates provide grab hire Harrow, West London, NW London and surrounding M25 Areas with our fleet of 8-wheel, 32 tonne grab load lorries. Grab lorries can carry roughly 15 tonnes and can reach 6 meters. Grab Hire is ideal for site excavations, site clearance, garden clearance, and waste disposal and is by far the most cost effective solution. Our Grab lorries are versatile and can access most sites both domestic and commercial. The 6-meter reach of the crane means we can load from the ground, over a wall or fence if need be, saving many hours in manpower having to wheelbarrow material to the and from of a site. The height of a Grab Hire lorry is 3.8 meters, without the crane in use. The width of the lorry for a comfortable fit is 3 meters. The turn around time from site arrival is usually 20 minutes for muck and 30 minutes for concrete, stone or brick. Within our fleet, we have a 4×2 grab lorry which is affectionately known as the “baby grab”. This lorry is perfect for sites with limited access, narrow streets and height restrictions. This mini grab can also be used to supply up to 9 tonnes of primary or secondary aggregates. Ordinarily, we can provide Grab Hire Harrow service on a next day basis. We can charge per load or day and operate seven days per week. Night work is also available for utility companies and local authorities. We take great pride in our fleet of lorries, and all are maintained and cleaned regularly. Our state of the art tracking system means we can monitor, adapt and communicate with our staff regularly, ensuring we can remain efficient and responsive. Our commitment to the environment is second to none here at Ashville and we ensure our carbon footprint remains as low as possible. Every one of our materials that we use are sourced in highly environmentally friendly manners and our recycling rate is around 90%. This not only keeps our prices low but our carbon footprint as well. While providing Grab Hire services, we can also provide aggregates supply. Our lorry can arrive with a primary or secondary aggregate of your choice, offload to one section of the site and then load the waste material before leaving. This is perfect for both large and small construction sites as sub-bases can be created immediately after excavation. To ensure we provide a very safe service, all of our staff undertake regular safety training both in academic senses as well as practical. Our site is regularly audited by us as well as working in tandem with external third parties. To show our dedication to continued improvement, we applied and secured FORS Gold Standard (upgrading from Silver) in 2016. We are very proud of this and continue to strive for improvement in all areas. As registered carriers of waste with the Environmental Agency, we collect waste materials and dispose of them in compliance with current regulation at fully licensed recycling centres. Our Grab Hire operators are fully licensed, trained, experienced and insured. For more information or to book a Grab Hire service, please call us on 020 7736 0355.